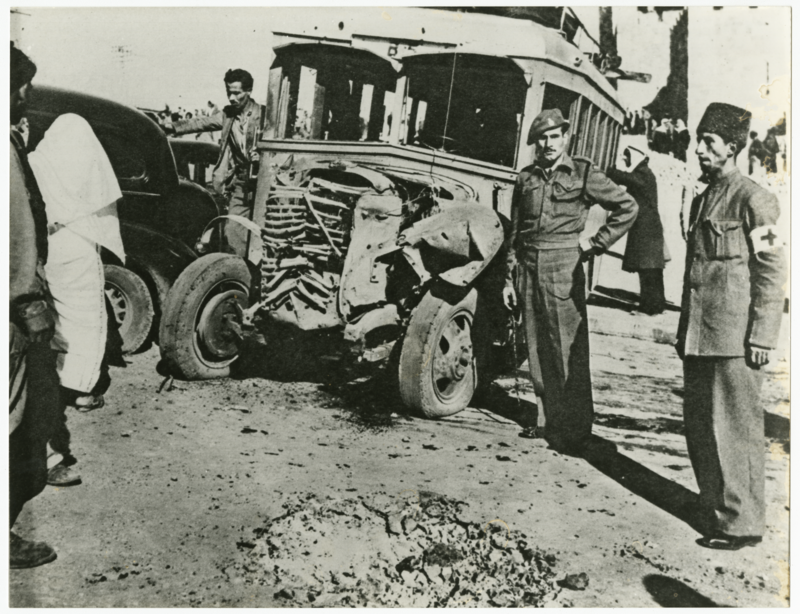 "A bomb thrown from a passing taxi at a bus in the Palestinian residential quarter outside Herod's Gate, Jerusalem, on 29 December 1947 killed seventeen Palestinian civilians. The perpetrators were members of the Irgun. This was one of hundreds of such attacks by Zionist terrorist groups that occurred in the subsequent months."